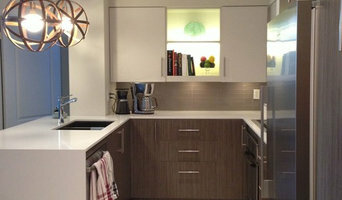 Simcoe County's Kitchen & Bath Experts | 2x Best of Houzz! We combine our clients' vision & lifestyle with sound design principles, modern amenities & our full service expertise resulting in outstanding, functional spaces, personalized for each individual. 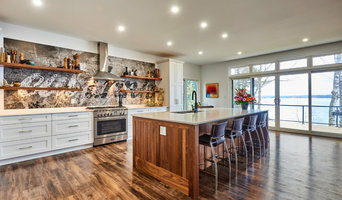 Greater Toronto Area Interior Decorator, Home Stager & Renovator- "BEST OF HOUZZ " winner for 6 CONSECUTIVE YEARS IN A ROW 2014, 2015 , 2016, 2017, 2018 & 2019 ! 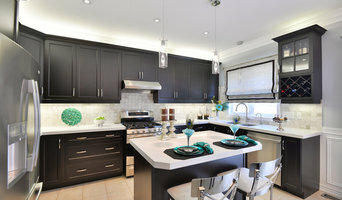 "Sense Of Style" provides professional, innovative, interior decoration, renovation and home staging services. Interior Decorator Ani Semerciyan, specializes in residential projects, working with various styles to create unique and functional living spaces to suit your lifestyle and taste. Her philosophy is "Comfort Is Joy But Style Is Eternal!". Feel free to reach out to me, I would love to hear from you! Tse Design Co. is a design studio specializing in interior design and planning solutions for your beautiful home and workspace. Award winning, accredited and certified Interior Decorator and Design Consultant specializing in creating and customizing the perfect plan to fit any style or budget. Through a collaborative approach, Caroline will incorporate classic principles of scale, proportion and colour to help clients develop their own style and taste for a final timeless luxury design. 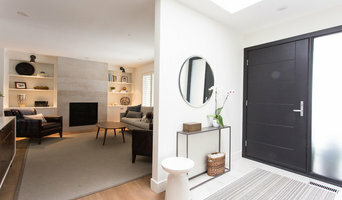 Best of HOUZZ Winner 2015 - 2018!! From Concept to Living: Design Creation, Project Management, Renovations and Breathtaking Styling. Est. 2008 ~ Patti Wilson Design Inc. is a premier interior design firm located in the heart of downtown Newmarket. 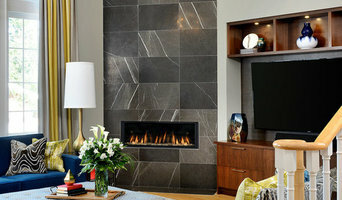 We specialize in turn-key luxury interiors as well as renovations and full-service project management. To us, design is about creating spaces that are both functional and beautiful; shaping a home’s interior and exterior elements so that they complement and reflect the people who live there. At Patti Wilson Design Inc., we are 100% committed to our clients in all facets of what we do. Our goal is to exceed expectations through our unparalleled work ethic, attention to detail and strict adherence to budgets. We are dedicated to transparency and maintain open communication with our clients at every step of the process. Design and renovations can be overwhelming and time consuming for most people; we get it. Clients can depend on our years of project management experience to deliver an impeccable project that is completed on time, within budget and of the highest quality. Let us do the work for you. David and his team believe in making your dream home a reality. David specializes in historic renovation and is dedicated to making every project as unique as the homeowner he works with. Design Line Studio is passionate about creating inspiring room ideas and plans for our client’s that are both aesthetically pleasing and functional while minimizing the user’s environmental footprint. Whether your home or business simply needs a new colour scheme, furniture re-arrangement or an entire design change, our goal is to make every experience a rewarding and creative process. YiXin Construction commitment to customer satisfaction is what we take pride in. We complete this by understanding your vision and then making it happen. Intrinsic Designs is an interior design company dedicated to delivering turn-key design solutions tailored to each client's style, budget, and aspirations for their space. Alexandra Naranjo Designs specializes in high-end residential projects with the ultimate mission of creating interiors that are timeless, rich in style, and inspire conversation. Call us today! Our full range of interior and exterior design services take your project from concept to completion. Idevoks Design is a strong and creative client-oriented team. Our aim is to create a symbiotic designer-client relationship.